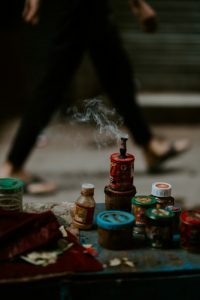 Who knew that traditional Chinese medicine would gain such popularity all of a sudden? Well, the truth is that since its inception and introduction in the United States it has always been gaining attention. However, the rise in popularity of Acupuncture has been very significant in the past five to ten years. It is estimated that around six percent of Americans have at least tried acupuncture once in their lives so far and this number keeps increasing as the days go by. This rise in its popularity is getting people interested in learning the art and practicing it as a full-time professional. Since there are so many people looking for such professional acupuncture services, it has given birth to a whole new industry and opportunity for young aspiring individuals to earn a living practicing the art of Acupuncture. So, at this point, you are probably wondering where you learn acupuncturing and what it takes to become a certified and properly trained acupuncturist. 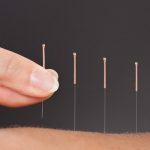 In the following paragraphs, we will guide you towards the steps that you will have to take in order become an acupuncturist. There are various different ways to administer acupuncture procedures. It varies depending on the equipment and also the nature of the problem that you intend to treat by it. In any case, an acupuncturist is supposed to diagnose their patients and understand the nature of the problem that they are facing. 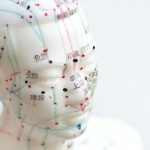 Once they have a proper understanding into the issues of the patient and his underlying condition, the acupuncturist selects a specific location on the body to apply the acupuncture technique in order to relieve the patient of his ailment. 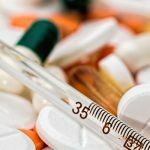 It is a highly professional procedure and requires accurate diagnosis on the part of the acupuncturist because a faulty analysis might lead him to apply the technique at a wrong position on the body. There are proper institutes and educational establishments which will teach you the finer details and applications of acupuncturing so that you can learn it in line with the best practices of the industry. 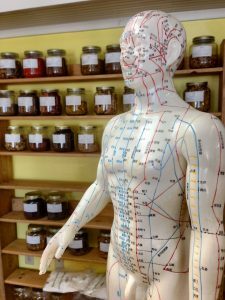 Where Do I Start Learning Acupuncturing? In the United States, the Accreditation Commission for Acupuncture and Oriental Medicine (ACAOM) is responsible for the management and accreditation of educational institutes teaching acupuncture across the country. As a student, you should look for an educational institute that is accredited by this body. It is safe to study acupuncture at an institute that is accredited by it, and it will be recognized country-wide. The ACAOM has the complete backing of the US Department of Education which recognizes it as an established authority in this discipline. Acupuncture is a field which is open to students and professionals from various backgrounds. Anyone can apply and learn. However, students are required to first earn a bachelor’s degree or at least study for two years before. In brief, this field is not just limited to individuals with a background in medicine but is rather open to all. What Courses Will You Have To Study? The courses taught at acupuncture institutes cover various aspects of this profession. It helps shape up students for what is to come and enables them to learn the art at a very intricate level. This is clearly highlighted in the list of courses that students have to study in order to complete the program. As a student, you will have to study courses like Oriental herbal studies, biomedical clinical sciences, Oriental medical theory, integrated acupuncture and a host of other diverse subjects. Upon successfully passing all the courses you will earn a master’s degree at the end of the program which will allow you to start practice in almost every state in the US. Lastly, you should bear in mind that there only six states across the US which do not require acupuncturists to obtain a license prior to practice. 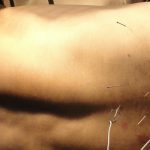 As for the rest of the country, you will have to clear the certification program offered by NCCAOM (National Certification Commission for Acupuncture and Oriental Medicine). Once you are licensed and certified by the mentioned body, you are free to start acupuncture practice in your state. Please note that an acupuncturist certified in one state does not necessarily have the legal right to practice it in another state.